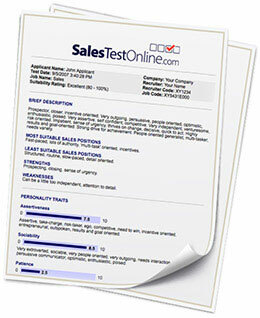 Our goal when you use the SalesTestOnline.com Sales Aptitude Test is to ensure you hire successful sales people. The results of our Sales Aptitude Test will simplify your hiring decisions rather than complicate them. This short video shows a detailed example of the report you receive on candidates who complete our Sales Aptitude Test. Viewers of the video will see that Sales Aptitude Test results are presented in way that is comprehensive and detailed but above all understandable-clear, concise and to the point. Viewers will see that the format of the Sales Aptitude Test report enables hiring managers to have a quick top level view, or if desired, get into far greater depth if necessary. Our goal is to make your hiring decisions easier, not more complicated. We understand you're very busy. As important as good hiring decisions are, sometimes you just don't have the time to read a lot of detail or you would rather focus your time getting into the details about the better applicants. Sales evaluations that are too lengthy, confusing and lacking in clarity not only waste your time and money, they often make hiring decisions even more difficult. With this in mind the reports describing the results of our sales aptitude test are comprehensive yet straightforward and direct. Our reports provide a very clear picture of everything you need to know, to make the best hiring decisions and to avoid expensive hiring mistakes. 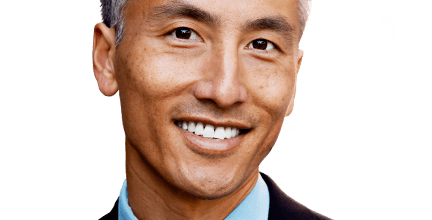 Your interviews will be more targeted by highlighting red flags and other issues to zero in on. As well, results of the sales aptitude test serve as a road map to understand how to best motivate and manage the person for success. Each position is custom profiled and each report has a suitability rating based on the closeness of match to the specific requirements of that role. Another great advantage to using our sales aptitude test is that you can evaluate people for all positions, whether sales or non-sales. When you purchase a block of tests you can mix and match them for sales and non-sales and use them in whatever way is convenient.